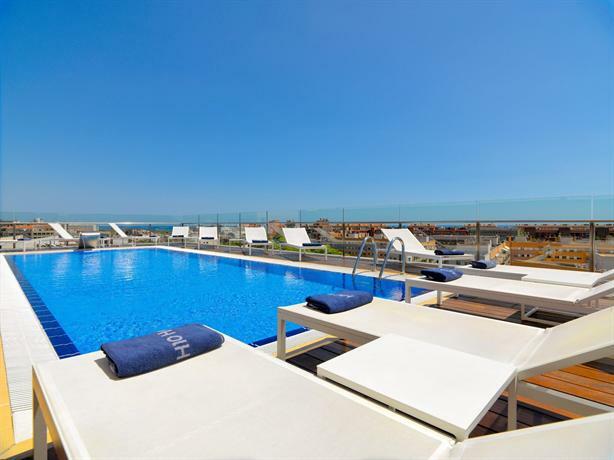 Located on the 8th floor of the H10 Marina Hotel the rooftop pool offers panoramic views of the Barcelona cityscape, the Ciutadella Park, Olympic Marina, and the Balearic sea. The outdoor pool features chaise loungers, a sun terrace, free wifi and a pool side bar. The pool side bar serves a variety of classic cocktails, craft beer and indigenous wines. The pool is seasonal and is only open during the summer.